Have you ever wondered where your food comes from? Was it produced locally or hundreds of miles away and shipped to your hometown? 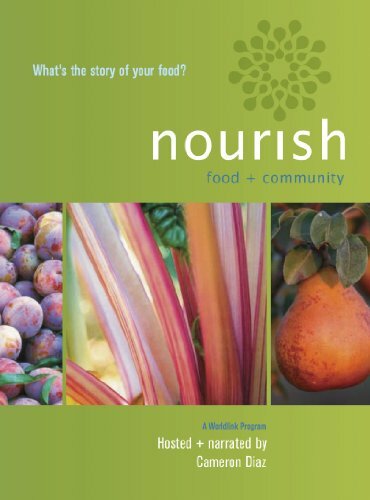 Nourish is a film celebrating fresh and wholesome food that’s both good for you and the community. With interviews from Best-selling author Michael Pollan, Sustainable Food Advocate Anna Lappe, Chef and author Bryan Terry, and Dr. Nadine Burke, the film delves into how the choices we make affect our sustainable food supply. From the seed to your table, see how food connects every individual on earth. Also joining us, will be members of the Sabalu Farmers Market Association, including Asap Ogumoro who will be discussing where our food in Saipan comes from and how you can make food choices that benefit your community, health, and environment. NMC CREES will have a selection of tasty dishes made from locally grown produce for all to try as well as their recipes for you to use at home. First Friday Films is a monthly film series brought to you through a partnership with the National Park Service, Division of Environmental Quality, with generous support from community groups such as the Mariana Islands Nature Alliance. The Pacific Historic Parks (formerly the Arizona Memorial Museum Association) Bookstore, located inside the visitor’s center, will be open until 8:30pm. All proceeds go to community education programs. For planning purposes, the movie runs about 30 minutes long. As always, First Friday Films is free and open to the public. Please arrive early to ensure admittance, as seating is limited. Find more information about the film at www.firstfridayfilmssaipan.blogspot.com. Subscribe to the blog for regular updates on upcoming events. World Oceans Day - How will you celebrate?